Hope you’re all having a great weekend and the weather hasn’t put a damper on your mood. It’s currently very rainy here in good ol’ Blighty. 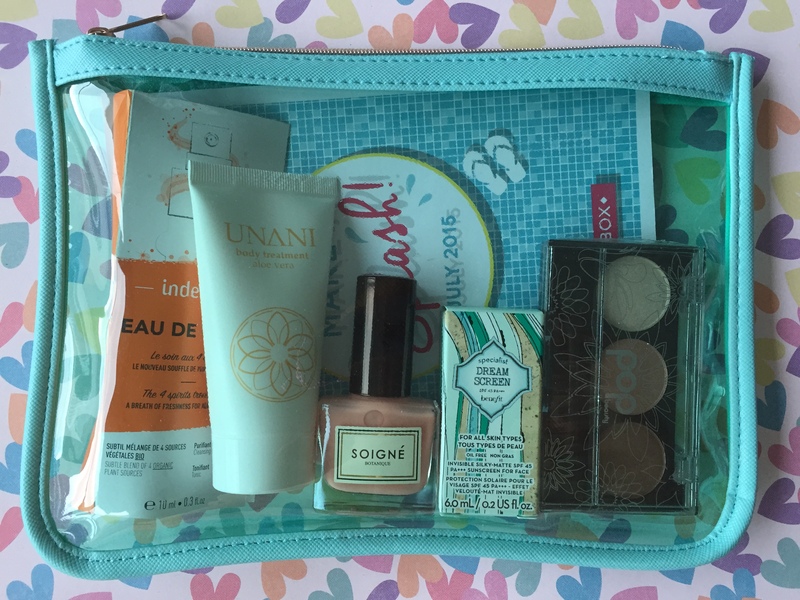 Earlier this month, the July Birchbox landed on my doorstep and I was pleasantly surprised to find that the classic box had been replaced with a super cute splash proof clutch. I received the turquoise one which will be an excellent additional to my beach bag. The theme this month is a continuation of Summer and vacations. “Make a Splash” is a collection of seven holiday worthy products. The first item is of course the zipped clutch/purse. It has a little pocket inside and will be super handy for protecting valuables and keeping all your beach essentials in one easily located place. I was happy to find a trial sized version of the Benefit Dream Screen. I wasn’t aware that Benefit had their own range of sun screen. This is for the face and contains SPF 45. 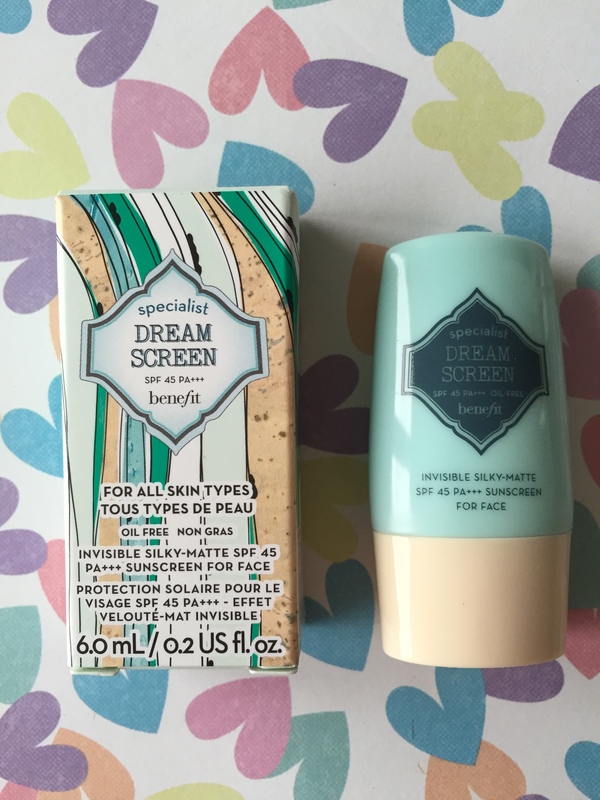 The formula is incredibly light and non greasy, which for sun screen is not always easy to find. It has a silky matte finish and leaves the skin feeling so soft. It’s easy to absorb, moisturising and invisible once applied. I love this product! Full size retails at £25. 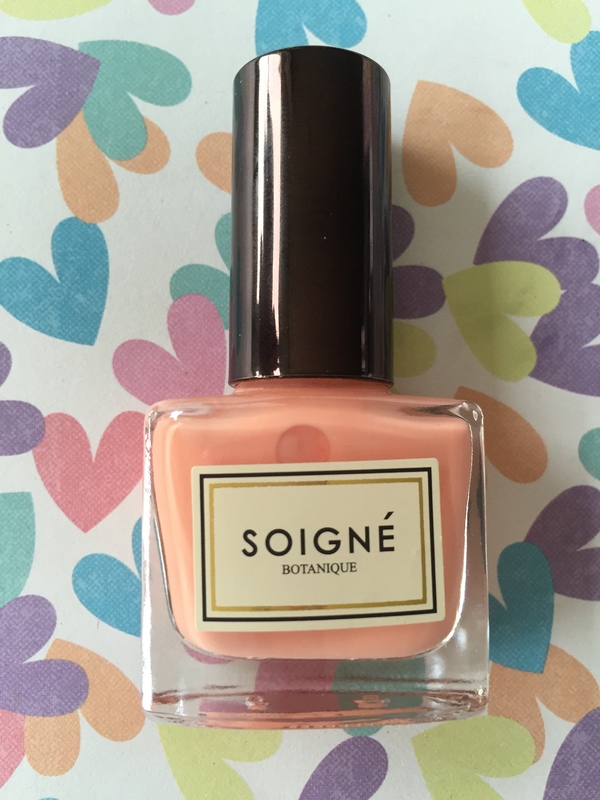 Soigne is one of my favourite nail polish brands. It is long lasting and I always find that it doesn’t chip as much as other brands do. It is quick drying and the brush makes it easy to apply. I received the shade Botanique which is a pretty peachy pink hue. The full sized item was received and this retails at £11. An essential item having spent hours in the sunshine is most definitely a moisturiser containing Aloe Vera. 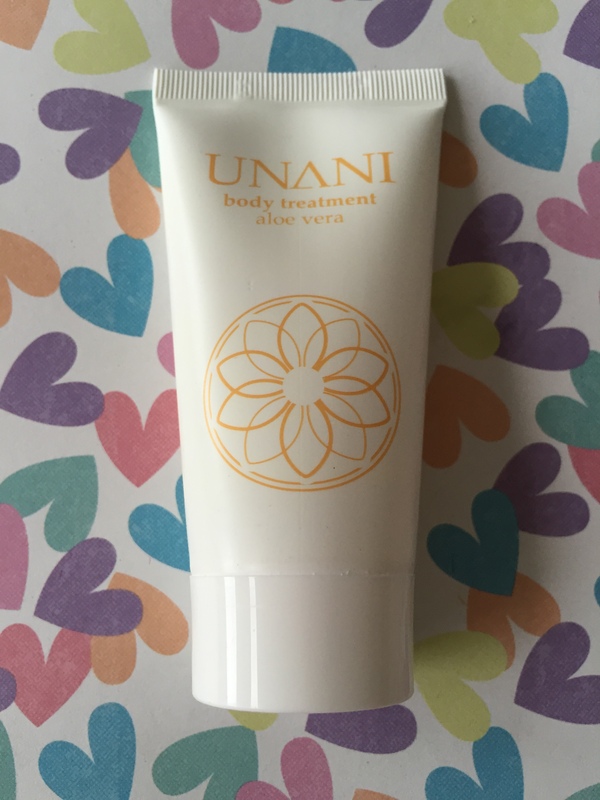 This gel by Unani, £15, is fragrance free and is immediately cooling on the skin. It’s packed with aloe vera which soothes and calms the skin. It is light weight, easily absorbed into the skin and leaves skin feeling very soft. I love nudes and earthy toned eye shadows so again was delighted to receive eye shadows which compliment my skin tone. 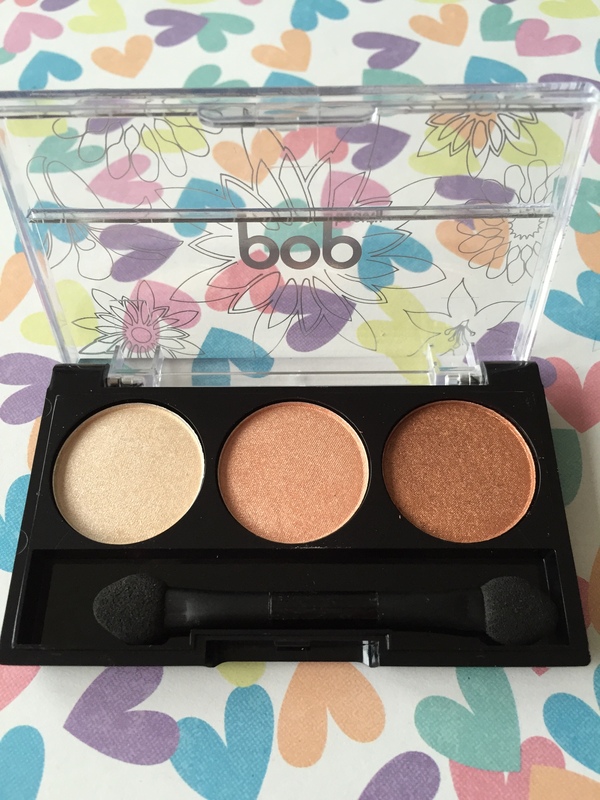 This trio by Pop Beauty, £15.50, are a good make up bag essential for on the go top ups. There is a vanilla, peach and bronze which all compliment each other for an effortless smoky eye with a twist. This is the Peach Parfait palette. 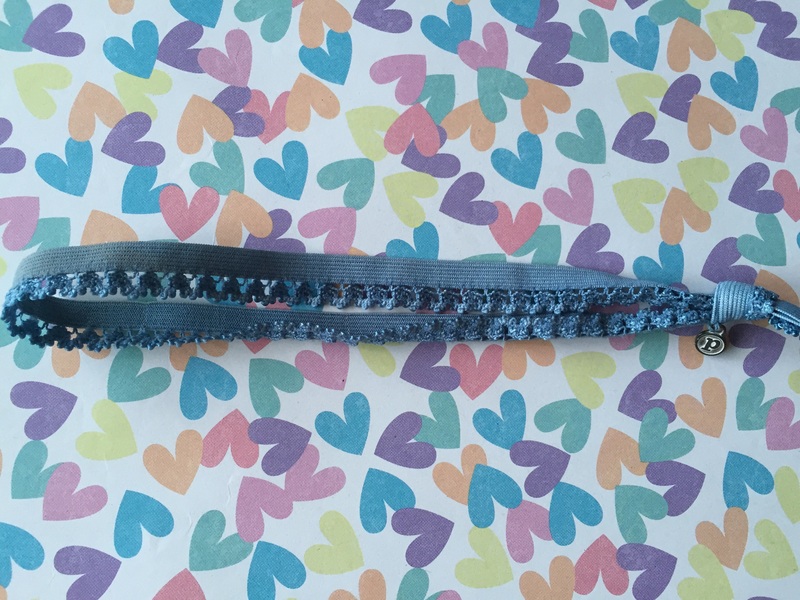 The Pura Vida Lace Headband, £11.40 for a pack of 8, is a bonus item this month. Made from stretchy elastic, this will keep your hair in place whilst you sip cocktails by the pool or go for a swim. I really like this shade of blue and the lace makes it very girly. Love it! Finally, the last product received is from a brand completely new to myself. 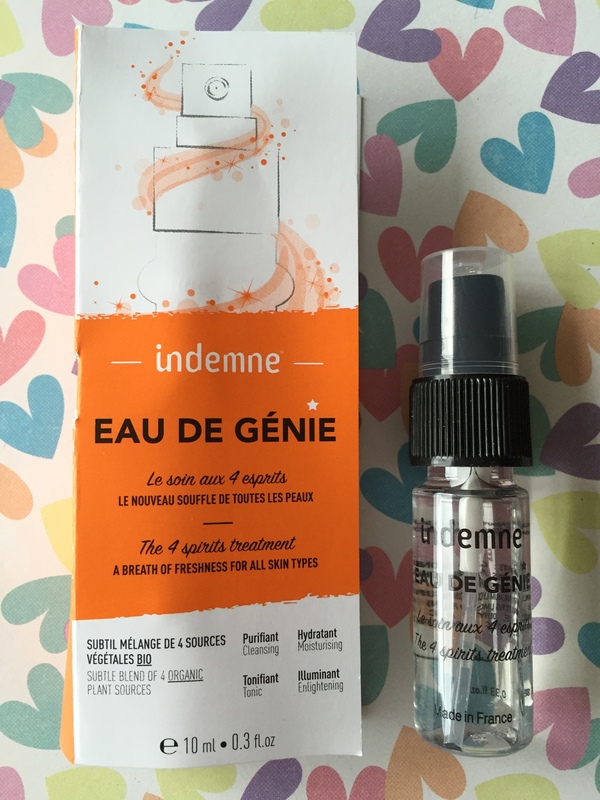 Indemne, Eau de Genie, £11.20, is a 100% natural organic skin spritz. It enhances your usual cleanser with a cocktail of grapefruit, lemon, apricot and tomato waters to leave skin clean, soft and glowing. It’s fragrance free and absorbs into the skin. It feels invisible to touch and a small amount goes a long way. I’m very happy with this month’s box. Let me know what your thoughts are on this box and if you have trialled any of these products. Birchbox continues to be one of my favourite beauty boxes and I can’t wait to see what the coming months will bring. If you like what you see and fancy giving it a go, click here for my subscriber link. On sign up you’ll be awarded 50 Birchbox points which equals £5 to spend in the online store immediately! You can cancel at any point with no hassle.